For more than 100 years, Bruce has brought the beauty of hardwood into American homes. See for yourself why homeowners and builders choose Bruce Hardwood. Let the beauty shine through – with Bruce. Designing innovative flooring solutions that inspire great spaces…that’s what motivates and unites the people of Armstrong Flooring, Inc. We champion integrity, creativity and sustainability to develop products with the power to positively impact the spaces where people live, work, learn, heal and play. Like you, Shaw Floors is passionate about creating beautiful homes founded on innovative design and lasting function. We know that a beautiful room doesn’t happen by accident. It’s a process. It’s deliberate. And it all starts with the floor. Flooring can change the look, feel and function of a room, bringing together a beautiful, yet subtle masterpiece, artfully crafted by you. From the soft pale carpet for a sleeping sanctuary to the powerful Grand Canyon hardwood for a culinary haven, floors support your family’s every move. Ever since we rolled out the first Mohawk carpets in 1878, we’ve built quality into every flooring product we make. We continue that tradition today with revolutionary product innovation, award-winning design, and a talented team dedicated to outstanding service. We’re proud to assemble 100% of our carpet products in the United States—and proud to lead the industry as a trusted brand in flooring. At Prestige Floors we’re not just selling floors, anyone can do that. We are here to bring you comfort and peace of mind with your investment. We are a locally owned family business and the dollars you spend with us stay in our community. Bring any vision to life with Daltile’s astounding selection of products and solid commitment to the highest quality. We provide all that’s needed to dream, create and design with confidence. We are committed to doing things in a way that can only be defined as the best in its class. As the country’s leading manufacturer and distributor of ceramic tile and natural stone, our vast resources allow us to be a true single source supplier for the flooring industry and our amazing palette of products makes us a convenient and knowledgeable choice for any design. Combined with our parent company, Mohawk Industries, we manufacture nearly 700 million square feet of floor covering per year. Established in 1968, Emser Tile, headquartered in Los Angeles, is the leading designer, marketer and producer of the world’s finest tile and natural stone. By offering unparalleled service and a dynamic selection of products, Emser is one of the most comprehensive sources for interior and exterior products that include porcelain, ceramic, metal, glass, quarry, decorative accents and mosaics, cut-to-size stone, setting materials, and custom manufactured products made to your specifications. Certified Flooring Installers (CFI), is a non profit trade association devoted to flooring installers. Since 1993, CFI has provided training and certification for the industry through inspection, installation, estimating, product knowledge, patterned and woven carpet, hardwood, ceramic, laminate and resilient flooring training. CFI is recognized worldwide for training. Students from across the United States and many nations, including Japan, Brazil, Africa, China, Chile, Germany, Mexico, Canada and Puerto Rico have participated in the CFI method of training. 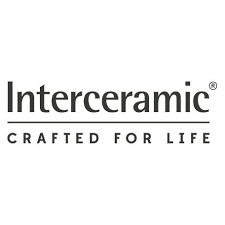 Interceramic has always strived to provide superior-quality products and customer service. Victor welcomes you to our organization and invites you to join in maintaining our long-standing tradition of providing superior quality products and services to our customers. With more than 130 years of history, Tarkett is a worldwide leader of innovative and sustainable flooring and sports surface solutions. Flooring covers the world. In every space conceived and built by men and women, around the planet, wherever we live, flooring provides inspiration, comfort and safety, protecting health and well-being, and helping people lead better, happier lives.